A technology fee levied this academic year on international students has sparked outrage among many graduate students, who said the fee’s implementation unfairly targets the international student population and was poorly communicated by administrators. The $50 fee assessed by the International Office has stoked fears that the University is becoming less welcoming for international students and that the software purchased with the fee will ultimately harm them. Students also said anti-immigrant rhetoric and policy coming from the president has added to their fears. The International Office assessed the fee to fund a third-party software that will allow them to more efficiently report student visa data to the federal government. Administrators said only international students were asked to pay as it serves them, but some faculty and students express concerns that the fee could set a dangerous precedent. Poor communication from the International Office has exacerbated students’ confusion and anger over the fee, as it initially provided little detail about the fee’s implementation and the software’s purpose and nature. Although the International Office clarified on its website that the software was needed to overhaul its data reporting system — which allows students to maintain their visa status — some students said they felt blindsided by the lack of consultation over the fee. Almost 600 faculty and students signed a petition written by students in the School of Communications, which demanded the fee be revoked. The petition was sent to associate provost and chief diversity officer Jabbar Bennett on Oct. 19. Signatories hope continued pressure will push the University to cover the software’s cost or split it evenly among all students — some also call for NU to stop implementing the software altogether. Bennett emailed both organizations on Nov. 8 to say administrators were considering “other options for funding” and would issue a decision by the end of Winter Quarter — though students would have already paid this year’s fee by then. “The rationale they’re giving would be the same rationale for charging women more for having a Women’s Center or charging black students more for the Black House,” she said. 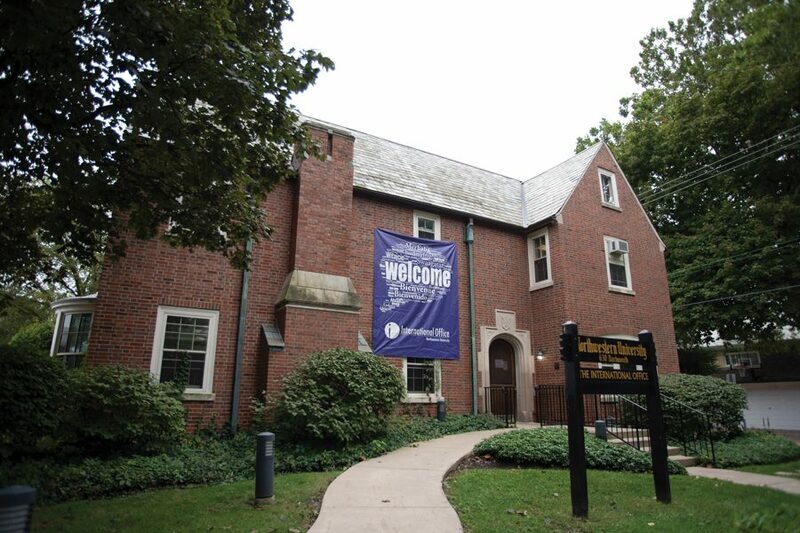 Since international students must already overcome a series of legal hurdles and financial burdens to attend Northwestern, some students felt the fee was insensitive. “Financially, emotionally, psychologically, there’s so much going on, and we just want one less thing, one less pressure from the University,” said Communication graduate student Anne-Marie Singh, who was previously on a student visa. But students graduating this year may not benefit from the new software — it will be implemented next calendar year around June 1, said Jennifer Zabel, the International Office’s assistant director of operations, and will be functional for limited use around March 1. Some students have also criticized the International Office because international students weren’t consulted and are skeptical about the fee’s necessity. International Office Director Ravi Shankar acknowledged that the International Office may have assumed international students would know more about the fee’s purpose than they did, but he added the office acted in a way they felt best protected international students. Several graduate students said the International Office communicated vaguely over email to students and faculty about the fee, which led to fearful speculation about the software. The first email international students received on Aug. 27 said the software was needed “due to increasingly challenging federal reporting requirements,” leading some to believe it would be used to send more information to the Department of Homeland Security. In another email responding to queries from Stevens on behalf of NU’s chapter of the American Association of University Professors, Shankar said there were “no changes to the type of information requested of Northwestern” and only “increased scrutiny” by federal agencies. Holloway said the communications came months after deans were notified of the technology because of a lack of a precise cost for the software. University leadership decided costs would be passed on to students because of budget constraints, he added. Shankar said in his email to Stevens — viewed by The Daily — that the program’s estimated cost was $182,000, although he declined to comment on the cost to The Daily. His email to Stevens also said the fee covered implementation costs and in future years would lower to about $40 to $45. That system “puts students’ visa status at risk,” Zabel said. She said she didn’t want to tell students their visas may be at risk even though she said she wants to be as transparent as possible. Students remain unclear about how the software will function as some fear data breaches in the software or action from the Trump administration based on newly gathered information — both of which Zabel said are unfounded. “There is legitimately no way (the software) could put them more at risk,” Zabel said. As a part of the software’s implementation starting Nov. 26, Zabel said the International Office will launch a new website to communicate details about the software. The new system would expedite processes for gathering information needed by the federal government like students’ residencies, names and work statuses. The current system has to be updated manually, which is difficult to do for the over 4,000 international students at Northwestern, Zabel said. If Northwestern doesn’t meet federal reporting requirements — which Zabel said could occur under the old system and the new regulation enforcement — NU may not get recertified to grant international students visas. NUGW floated ideas to continue exerting pressure on administrators at their meeting Monday, such as staging a walkout and writing letters to University officials. Mathematics doctoral student and NUGW organizer Kitty Yang and other members said they hope continued pressure will force NU to reverse the fee. This article was updated at Monday, Nov. 26 at 5:30 p.m. to clarify who wrote the petition and when Jabbar Bennett sent an email to graduate student organizations.